Why is Cecil Different From the Billions of Animals We Eat? Cecil's death has caused an Internet uproar. It's almost all that I am seeing in my newsfeed. Most of it is unadulterated outrage directed at the perpetrator. The world (or North Americans, at least) are experiencing collective grief, horror, devastation and anger in a way that I haven't seen for some time. Pamela Tourigny Community builder, writer, consultant, vegan advocate, mindful consumer, wannabe athlete, feminist, seeker of truth and promoter of kindness. 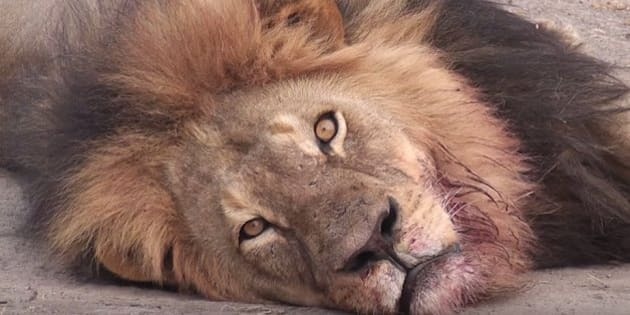 You would have to be entirely disconnected from humanity for the past few days not to have heard about the tragic death of Cecil the lion in Africa, at the hands of a rich American sport hunting dentist. Cecil's death has caused an Internet uproar. It's almost all that I am seeing in my newsfeed. Most of it is unadulterated outrage directed at the perpetrator. The world (or North Americans, at least) are experiencing collective grief, horror, devastation and anger in a way that I haven't seen for some time. The desire for revenge is palpable. There seem to be few exceptions. I've seen well-respected business leaders call for the dentist's Yelp profile to be flooded with negative reviews (made by people who have never attended his practice), calls for the perpetrator's death and injury, and demands that he be made an example so that others will think twice before hunting for sport in the future. People are mad as hell, seething, out for blood. That Cecil -- a popular and important lion in his Zimbabwe home -- was killed for sport is incredibly wasteful and terrible. I've heard that now his cubs are at risk, on account of lion social mores; there could be more death compounding the horror of Cecil's death. None of this is good news, and with lions dwindling in their numbers, it contributes further to the sense of waste. I'm really sad to know not only of his death, but also that he suffered. While I am firmly against sport hunting, and would agree that the perpetrator is likely a special kind of douchebag based on what I have read on the web, I can't help but think about the nine billion land animals who are killed in North America every year, simply because people enjoy eating them, or are in the habit of doing so. Where is the outrage and devastation for them? As someone who has been vegan or vegetarian nearly my entire adult life, I have a very difficult time understanding the mental gymnastics that are necessary to evoke devastated outrage over the death of one lion, but complacency regarding the death of billions. I know, I know. Those animals are bred for food. They're different. Cecil was different. Vegans are accused of anthropomorphism, but the case of Cecil shows that it's possible to have it selectively. Just because we have made a point not to know the cows and pigs who inhabit this continent with us, that they are less capable of feeling. You cannot tell me that a North American cow or pig doesn't also experience pleasure and pain, just as Cecil did. The science is increasingly in favour of run of the mill "food" animals experiencing these things not much differently than do human beings. They too enjoy the feeling of the sun on their faces, the ground beneath their feet, the breeze on their skin. Sadly, most never experience these things, and they suffer immensely when they are kept in living conditions that deprive them of even basic amenities. Then their lives are snuffed out, often after a terrifying ordeal of transport, and after witnessing or smelling their peers being slaughtered. This is not unlike the suffering that Cecil no doubt felt after being shot by a bow and arrow, 40 hours prior to his death. I respectfully ask that those who are outraged by the death of Cecil the lion take a moment and think about how awful you're feeling, and then consider the "holier than thou" or "militant" vegans you may have encountered -- in truth or in stereotype -- to understand where that outrage was coming from. Vegans are - -at the very least -- remarkably refined at hating the game, not the player; the rage towards Cecil's killer has not shown this same restraint. Admittedly, it's harder to sustain the same level of anger when the "culprits" (vis-a-vis societal customs and norms) are people who you love and respect. But it's still crushing to think about the death and destruction that occurs because of society's collective appetite for eating animals. The rich dentist simply provides a handy lightening rod for our collective rage. It is also my hope that people -- in their desire to bring justice for Cecil, or to find some meaning in his death -- may also consider the day-to-day ways that they can opt out of a food system that is rooted in a devastating and horrifying cycle of violence. We could all benefit from extending our circle of compassion, and striving towards a kinder world. RIP Cecil. This post originally appeared onThe Mindful Mavens blog.